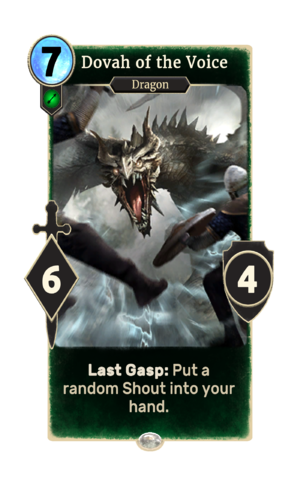 Last Gasp: Put a random Shout into your hand. Dovah of the Voice is a common Agility creature card. It is part of the Heroes of Skyrim expansion. This card was initially misspelled as "Dova" in pre-release materials.